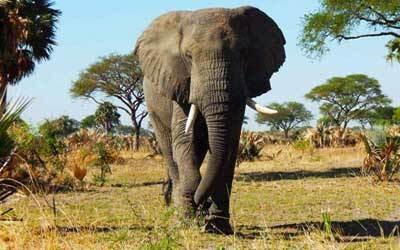 This is an 8 days adventure tour in Uganda. The safari is centered in the western national parks of Uganda. The safari is packed with plenty of adventure in the national parks. The safari will start in Kibale Forest National park. This is the center of primate tracking in Africa. 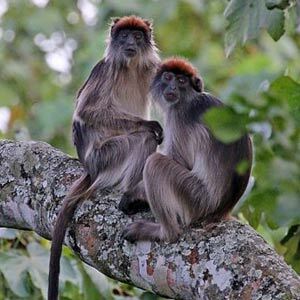 Kibale national park has a concentration of 13 primates species, these include; Chimpanzees, Red tailed monkeys, Black and white Colobus monkeys, Grey checked Mangabey, Red colobus monkeys, Baboons to mention but a few. Apart from primates, the park is also blessed with over 370 bird species. This provides optional birding activities for bird lovers. 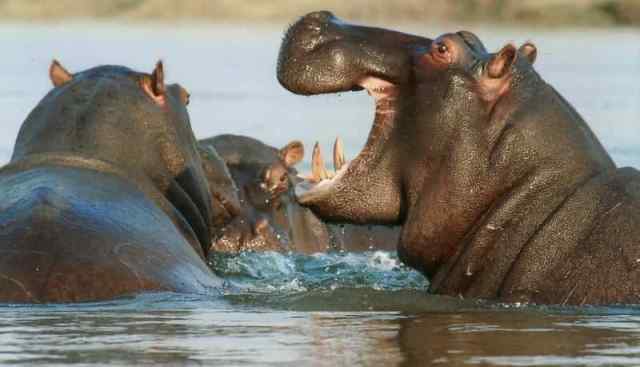 From Chimpanzee trekking, the adventure continues to Queen Elizabeth National park for a Big four( Lions, Leopard, Buffalo and the mighty Elephant) animals experience, plenty of wildlife including; Hyenas, Warthogs, Hippos, Crocodiles, Uganda Kob etc. Queen Elizabeth is an ecological wonder with several crater lakes, Fresh water lake (Edward and George), bird species. 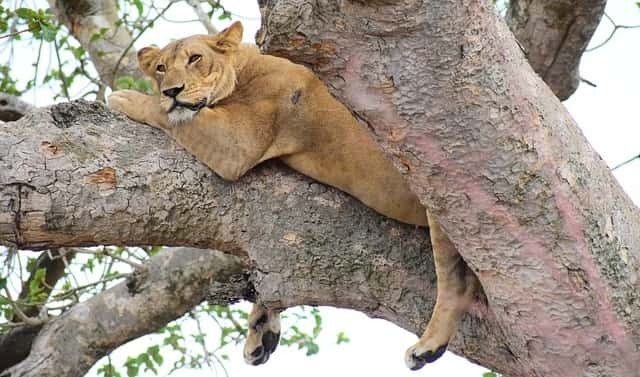 The southern section of Queen Elizabeth national park (Ishasha) is where you will find the famous Tree climbing Lions. After the wildlife experience, we head to Bwindi Impenetrable National park for the famous Mountain Gorilla trekking experience. Bwindi forest is a home to more than half of the remaining Mountain Gorillas in the world today. 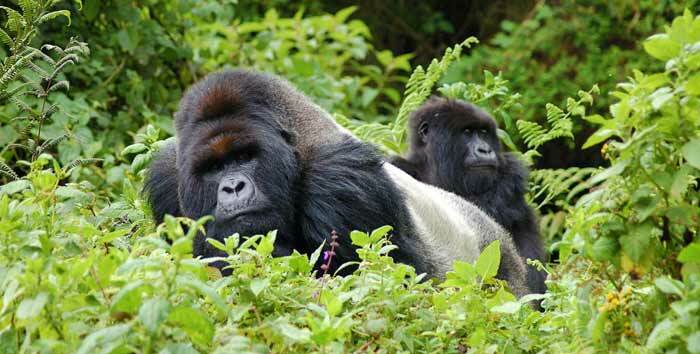 This is ideal for gorilla safaris in Uganda. Our Uganda safari holiday adventure starts today, we drive to from Kampala in the morning from your hotel and start on the 5 hours journey. We pass through towns of Mubende and Kyenjojo and then proceed to Fort Portal town. The journey is scenic with views of the Rwenzori mountains, big plantations of Tea and banana. This is a good spot for photographs. We proceed to the lodge and check in and then have lunch. The evening is packed with adventure as we go for a Community/Swamp walk. The walk is interesting with a lot of primates to be seen including; black and white Colobus monkeys, Red tailed monkey, Red colobus monkeys, to mention but a few, which visit the park neighboring communities, many birds are present too. 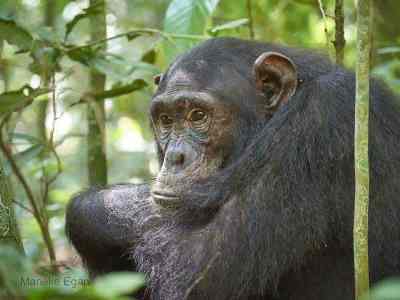 Today is the Chimpanzee trekking day. In the morning you will drive to Kanyanchu visitor center for briefing and then you will be led into the forest by a park ranger for Uganda Wildlife Authority to track human’s closest cousin. The trek its self is filled with adventure as you get to see different primates including; Red tailed monkeys, Black and white Colobus monkeys, Grey checked Mangabey, though they keep a reasonable distance from the chimps. 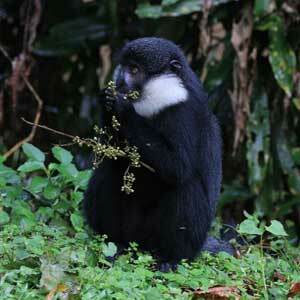 Kibale forest is also blessed with over 370 bird species, a good spot for birding enthusiasts. Upon tracking the Chimpanzees, you will spend one hour with our cousins, in this 1 hour you will see how the chimps live and play about, you can also take picture however Flash is not allowed. After the experience, we trek back and then have lunch and later we can go for a crater walk in the evening. Early in the morning, we have breakfast and the depart for Queen Elizabeth National park. The drive to this park is scenic, you get to see Banana, Tomato, Cotton, Tea plantations with clear view of the Rwenzori mountains Glaciations. We drive through old Copper mining town, Kasese and then arrive at the lodge for lunch. The evening is adventurous with Game drive for Lions, Leopard, Uganda kob, Elephants, Buffaloes, and abundance of bird life. Return to lodge for dinner and await the next day’s adventure. Today is packed with activities. With a packed breakfast we set off for kasenyi, an open area for active gaming. On a lucky day you can see Lions in action. The sun rise is a good time for gaming, since many animals are active. Some of the animals to see include; Hyenas as they walk back to their dens, Antelopes, Bufallo, Elephant, Leopard and much more. We then return to the lodge for lunch and then proceed to for a Boat cruise on Kazinga Channel. This boat ride is very worth as it brings you close to the water birds, like Kingfishers, fish eagles, pelicans, African spoon bill, African darters, reptiles like Nile crocodiles, and Monitor lizards are often seen. In addition to plenty of Buffaloes and Elephants. Tree climbing lions are a must see in Queen Elizabeth national park. Today after breakfast, we checkout of the lodge and then drive to Ishasha, the southern section of the park. The drive to Ishasha is about 2 hours and also provides another chance to see plenty of wildlife. The drive goes through Maramagambo forest, the largest rain forest in Uganda. On reaching the Ishasha section, several wildlife can be seen including; Tree climbing lions, Topis, Hyenas, Leopard, Elephants, Buffaloes and a true wild landscape. This area is so close to DR Congo at the river camp, here lunch will be served and then later drive south to Bwindi Impenetrable National park for Gorilla tracking. On arrival in Bwindi impenetrable National park, we head to the lodge and Check in and then dinner is served. Today is the Gorilla Trekking Day. Breakfast is served very early and then drive to the park offices for briefing and grouping. Each group is assigned a ranger guide who will use his radio to communicate with trackers about the locations of the Mountain Gorillas. When the gentle giants are located, you will spend 1 hour with the giants. Here you will see them feed, play, and as they do their daily activities. You are allowed to take pictures. After the experience, you will trek back to the park offices to receive your certificate upon completion of the Gorilla trekking and helping conserve these endangered primate species. We then return to the lodge for dinner having achieved the lifetime experience. Breakfast is served in the morning and then drive further south to Kabale, the Switzerland of Africa. This is where you will find Lake Bunyonyi, a beautiful lake made up of several Islands and a home to many bird species. The drive to this wonder is filled with beautiful sceneries, magical terraced slopes, farmlands and forests. We arrive in the afternoon and then have lunch at our lodge. The evening is interesting with many activities such as Hiking, Canoeing, Bird watching, Swimming or just relaxation on the lake. Dinner will be served later and relax for the journey back to Kampala/Entebbe. Our tour of Uganda ends today. We will drive back to Kampala/Entebbe in the morning after breakfast. 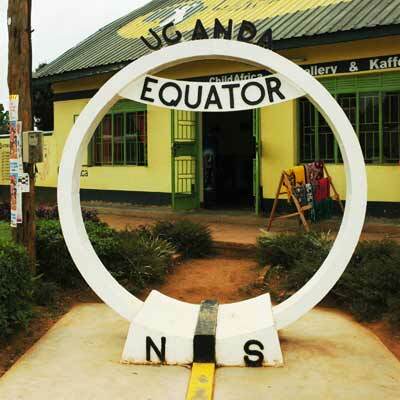 On the way will have a stop at the equator for souvenirs, a cup of coffee or tea and then cross back to the northern hemisphere reaching the destination in the evening.